Maison May Vanderbilt is more than a place to linger and enjoy a healthy breakfast or lunch. It is a place filled with beautiful and meaningful home goods such as antiques, tableware, and linen. 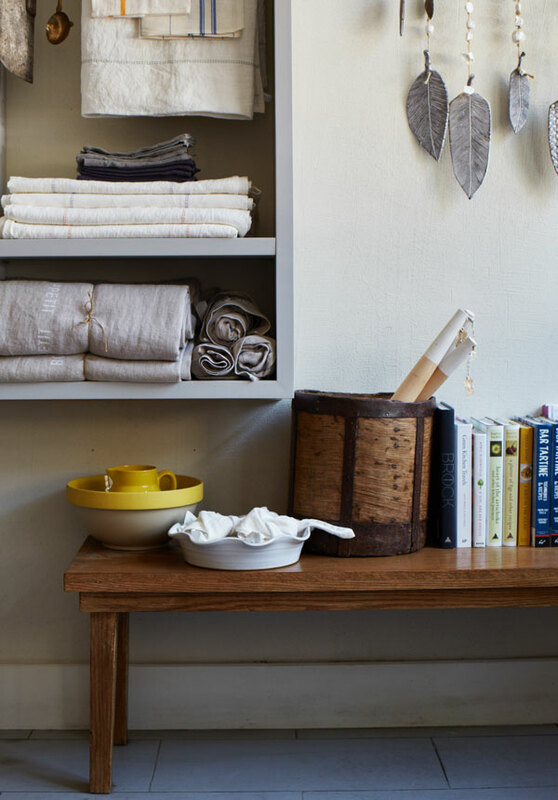 Marvel over gorgeous french linen, flip through a cookbook, shop for tableware or pick out the perfect wedding gift – our Café on Vanderbilt Avenue has many beautiful offerings. Catherine picks every single item herself during her travels through France. 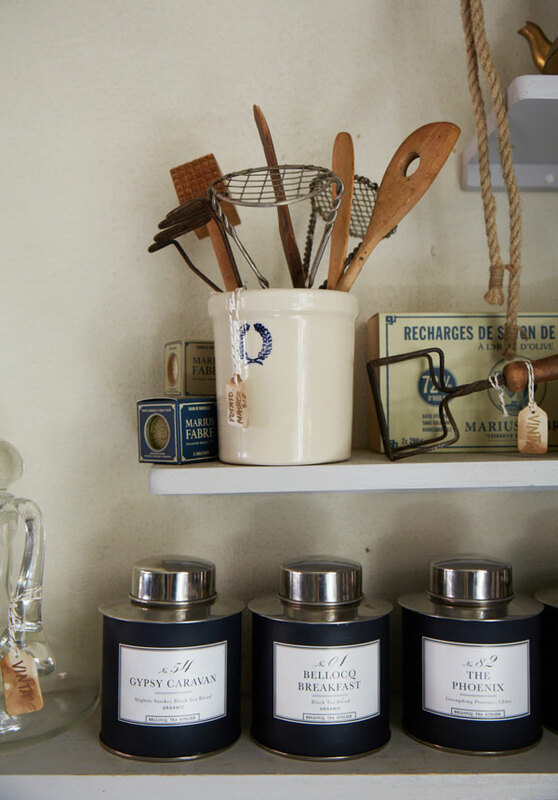 The antiques come from Parisian flea markets, the tableware and linen are mostly from small manufacturers and artist in the French countryside. Every home good undergoes a thorough real life home scan in Catherine’s kitchen and recipes in cookbooks get tested before they gets approves and end up as a wedding gift in store. Of course, shopping in store is a luxury. It feels good to touch and feel the quality of tableware and linen before purchasing it, it’s nice to be able to examine an antique before buying it and who doesn’t enjoy thumbing through a cookbook? However, sometimes that is not possible because your schedule is busy or you are located someplace else. Our online store helps you to still be able to find the perfect wedding gift no matter where you are. A vast selection of home goods – from small antique items to large wall object – makes sure you find what you are looking for.